The TSC M-23 has been discontinued. No direct replacement is available. The TSC M-23 features a 3" wide print width, allowing end users to use the same printer for a variety of applications including traditional item marking, price-markdowns, and re-labeling. 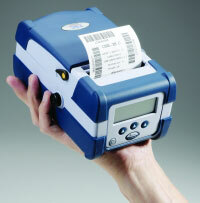 The 3" print width also provides the ability to print shelf-labels horizontally - saving time and money. In addition, emerging applications like printing small signage, or shelf-talkers as well as 3" receipts for portable POS necessitate the 3" print width.